I'm so glad that I'm able to actually share these photos with you! I was afraid that tons of pictures were lost forever when my SD card went bad and I couldn't get it to read. While I'm sure I lost some photos, crisis was averted with ZAR data recovery software! It took most of a day, but I was able to access most of my photos and save them to my computer. Many of the photos were projects I had done as gifts. All of which had already been given away, so no new photos could be taken unless I remade all of the items. A big sigh of relief when I saw my photos come up! Phew! Lesson Learned: Save your photos to your computer right after taking them!! 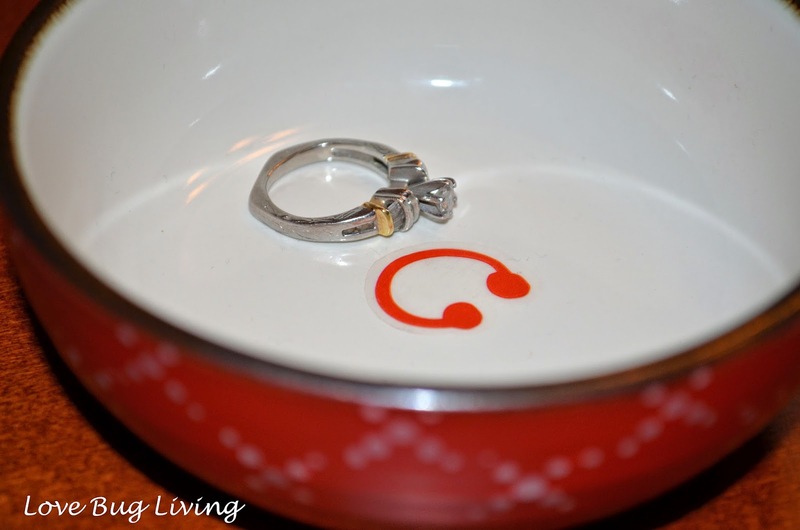 Today I wanted to share with you a simple Mother's Day gift to make for any jewelry lover! 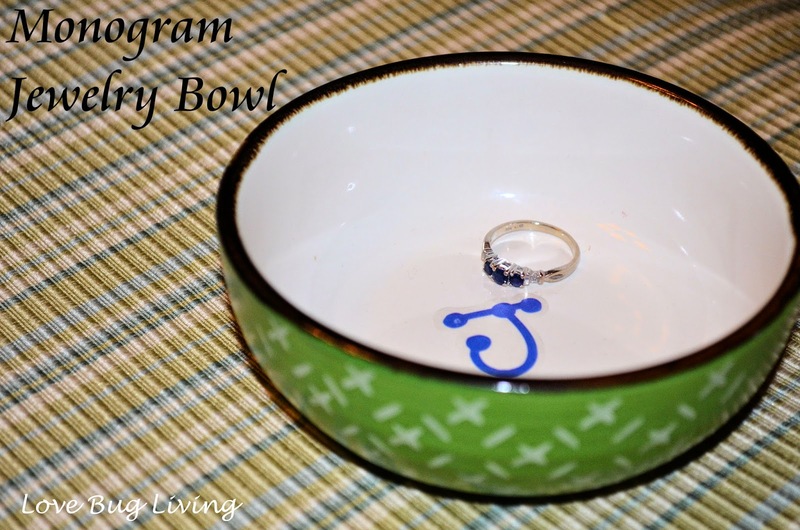 Make your own Monogram Jewelry Bowl! I found these colorful little bowls in the housewares section at Target. Just my luck, they were on sale! Next I searched my scrapbooking supplies for some letter stickers. I used single letters, but you could also use three stickers to make your initial monogram. Simply stick your letter in place in the middle of the bowl. Mine stuck pretty well, but you could also add a layer of Mod Podge over the top to make sure it stays in place. 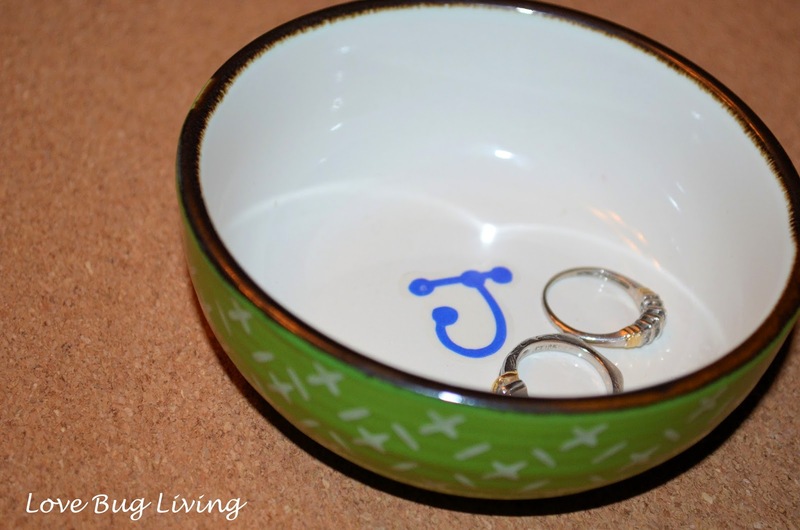 These little Monogram Jewelry Bowls are great to keep jewelry on your dresser, in the bathroom, or by the kitchen sink. They are a little catch all bowl to keep your jewelry safe when you're not wearing it. A simple little gift that Mom will love. You could even give it to her with a little jewelry surprise already inside!